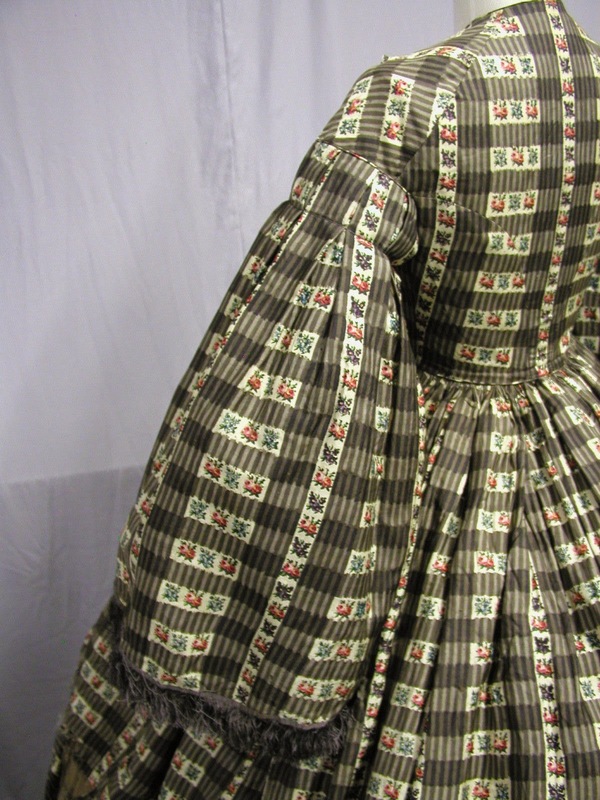 1041, 1860's Floral Printed Wool Daytime Ensemble: This dress was made in the 1860's from a floral printed wool. 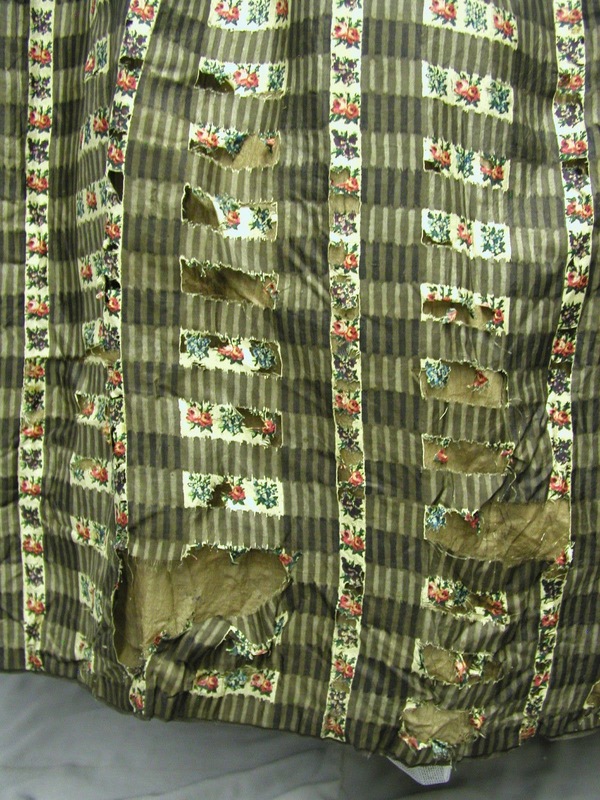 The fabric has much deterioration. Most of it has started within the printed fabric design. The fabric is very delicate. 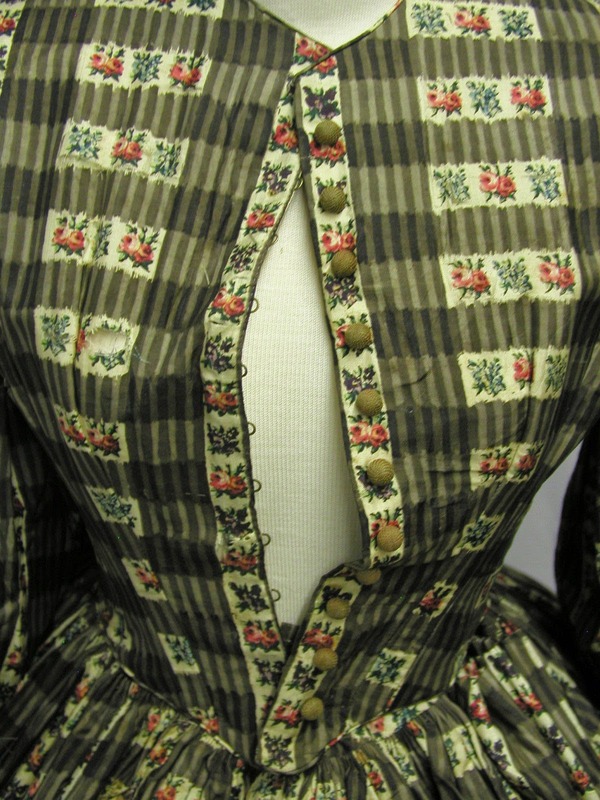 The bodice is lined with ivory cotton which has some staining. 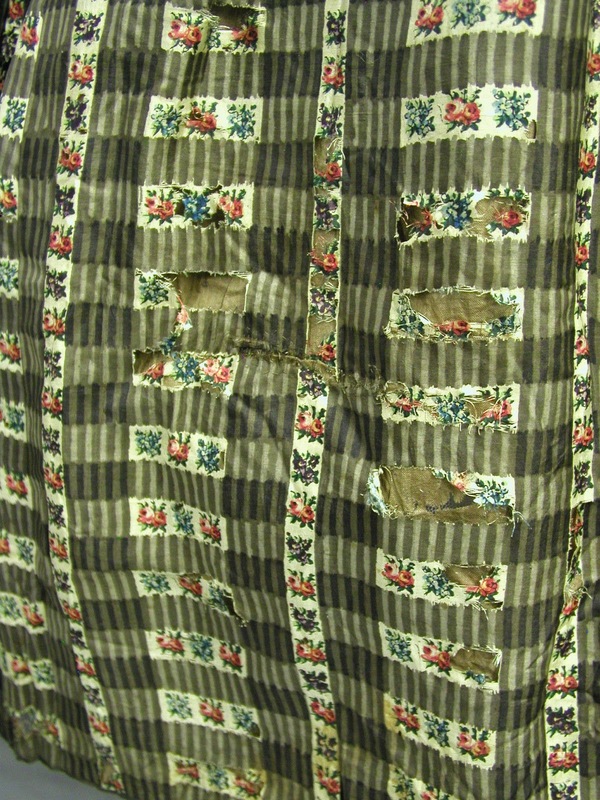 The skirt is lined with brown polished cotton. 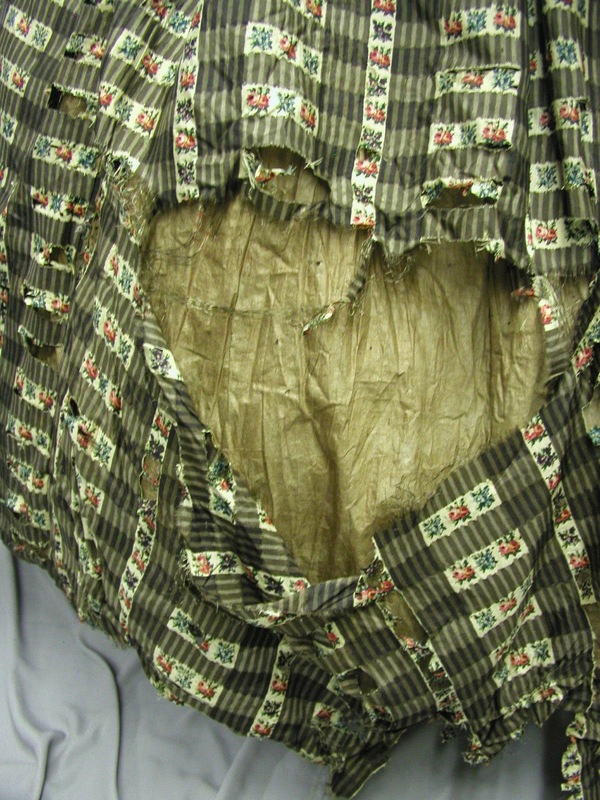 This garment could be stabilized and used for display as long as you placed the heavily damaged area away from public view. The cartridge pleating is loose about 6 inches in the back. See photo. It is also loose about 10 inches on the front left side. I have it pinned in the photo. This dress came out of a barn on the coast of Maine. The back and one side display nicely. 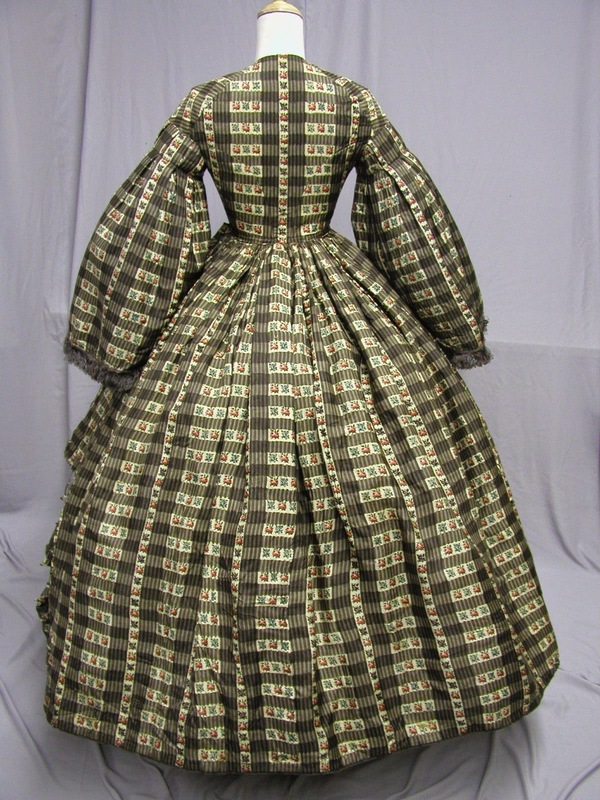 The bust is 33, the waist is 25, the skirt length is 40 and it is 164 inches around the bottom. 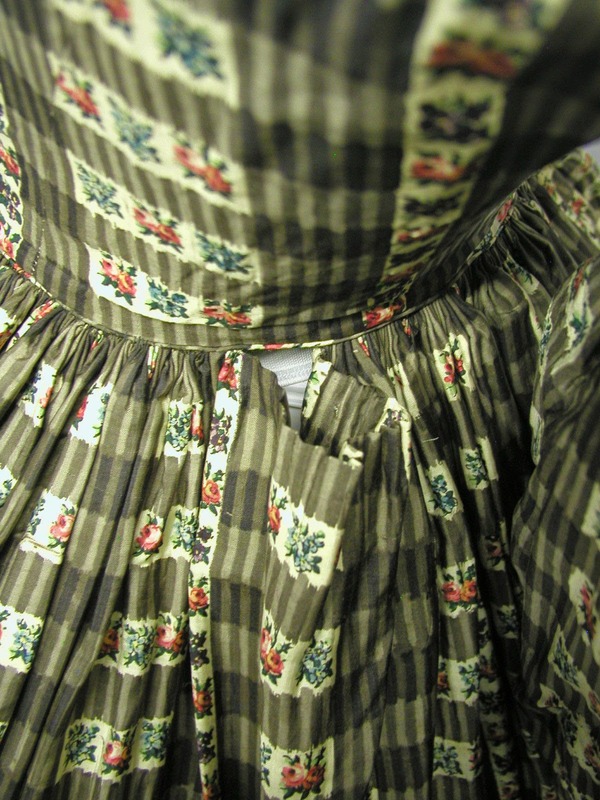 The left side of the dress at the bottom half of the skirt is very damaged. See photos. The bidding will start at $0.99 with no reserve. 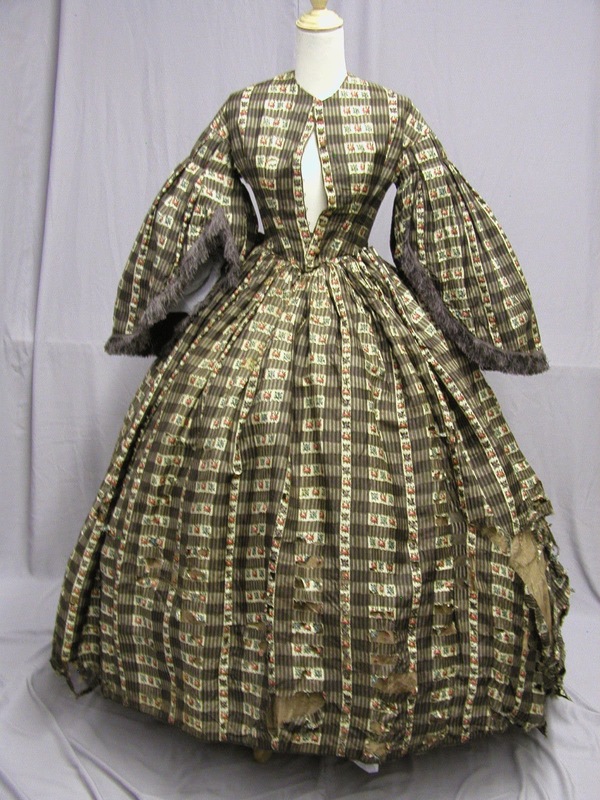 A wonderful piece of 1860's fashion. 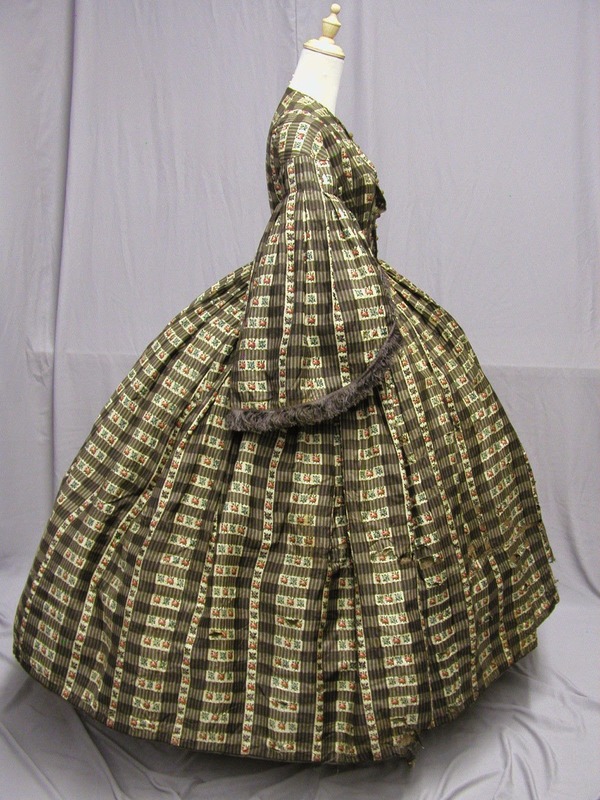 I believe someone out there can use it for inspiration to design a reenactment gown. 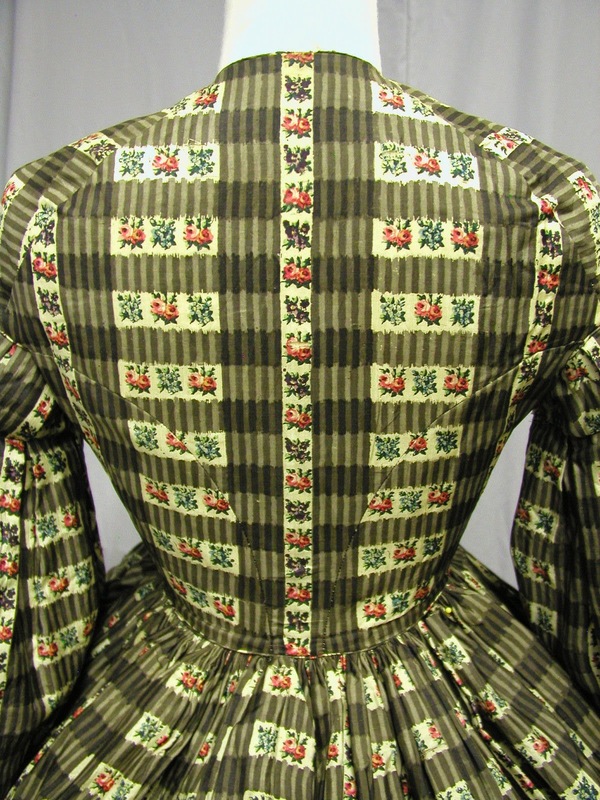 The tight piecing of the upper arm before going into the full pagoda sleeve was a "thing" around 1857. The slight point on the front waist also suggests the earlier date. However, what I find interesting is the wear pattern on the print. It's not the black dye that's eaten away, but the edges of the white floral. This might mean that a lot of bleach or it might have been one of the first synthetics that is now very faded (either originally blue or purple). I did it once too...completely accidentally. It was with a very wide plaid. .... I'd love to know how I did it. I really don't know.